Are you looking for authentic and high quality Orthodox Christian church supplies? It may be difficult to find a single reliable supplier for all your requirements in your local area but you can find everything you need at specialist online stores dedicated to serving Orthodox Christian churches and communities. The Orthodox Christian faith has history and traditions dating back to the time of the Apostles. A lot of emphasis is laid to upholding purity by maintaining correct forms of worship. When someone walks into an Orthodox Church, they are instantly impressed by the beautiful interiors and furnishings that play a key role in creating an atmosphere for prayer and worship. For these reason, it’s very important for Orthodox churches to choose appropriate, high quality church supplies. Online stores such as Canada based Istok Church Supplies offers an exhaustive range of items ranging from unframed embroideries, candle holders, intricately carved church lecterns and jewelry reliquaries with gold gildings to monastic belts with prayers, Epitaphios, church banners, blessing crosses, prosphora bags and vessels for pre-sanctified goods in beautiful and exquisite designs. 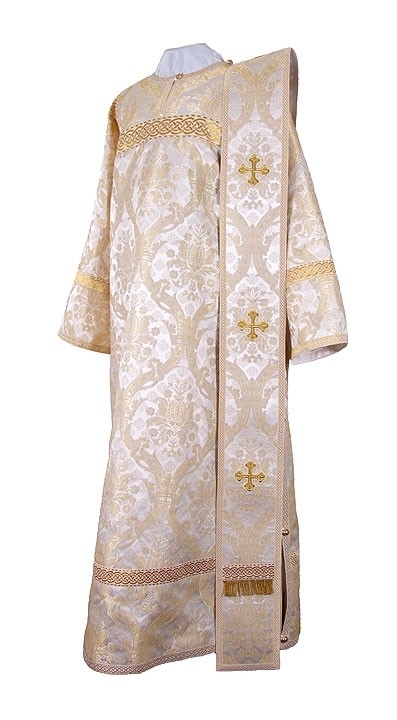 Istok church supplies company is renowned for high quality, made to measure vestments. 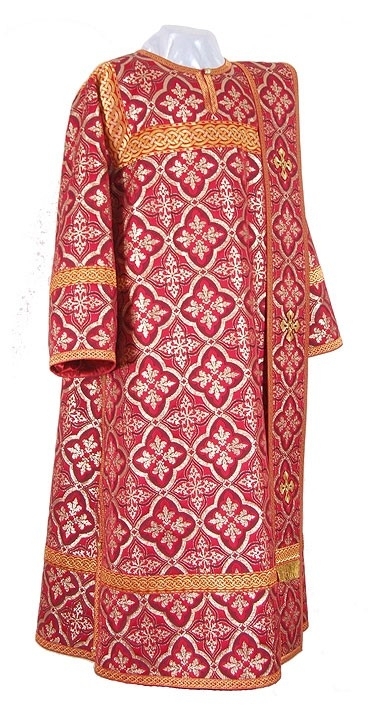 Istok Church Supplies is the go to supplier for varied vestments such as Bishop’s vestments, sub-deacon’s vestments, deacon’s vestments, Russian Priest vestments, Greek Priest vestments, clergy sticharions, altar server sticharions, Priest’s mitre and lots more. 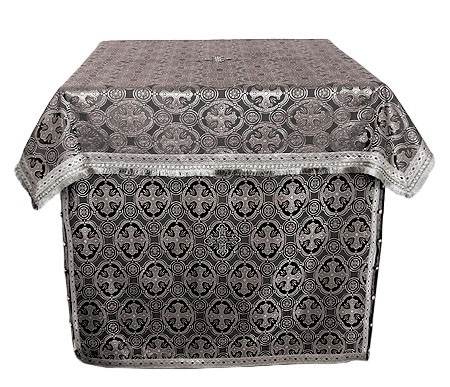 Customers can choose from beautiful ecclesiastical fabrics such as metallic brocade, rayon brocade and natural German velvet and liturgical color combinations suitable for particular seasons of the worship calendar year. Istok has its own manufacturing unit in Europe and its expert tailors construct custom vestments with high quality workmanship and details. At Istok’s church goods online store, customers can purchase various types of headgear such as Russian klobuk, Russian kamilavka, nun’s summer skufias, and comfortable winter skufias. Istok aims to serve various communities prescribing to the Orthodox Christian faith and hence you’ll find articles in many distinct styles as worn by particular communities. Istok also provides simple, durable garments such as tunics, undercassocks for monks and nuns. Their range of products continue to expand and customers keep coming back for unique items such as embroidered icons made with original German madeira threads, resplendent Holy Table covers and richly embroidered chalice covers that protect vessels holding water and wine before they are used during Eucharist. Istok Church Supplies tries to keep its prices low to make products more accessible to Orthodox Christian communities and churches. Customers will find that their products are suitable for a wide range of budgets and taste preferences. Customers can go through Istok’s discounted church supplies catalog to find products at amazing prices that are considerably lower than what’s found in the market. Istok also announces discounts for special occasions and customers can check special offers to make further cost savings. Since no other taxes are applicable, customers stand to gain from genuine discounts and fantastic bargains no matter where they are in the world. Preserve your heritage and propogate your faith with authentic and high quality church supplies. Visit Istok Church Supplies’ user friendly website and start exploring! I received the vestment and let me say it is very beautiful! Thank you. I like to kindly thank you for your extended patience, trust and love. Your support in assisting my Brotherhood through these hard times is greatly appreciated. I received my vestment Fridayâ€¦well in time for January visit of Archbishop and tonsuring event. It is beautiful!!!! Thank you for all your help and for making this possible. God grant you all many years and have a truly Blessed Nativity. I pass on my compliments for the beauty of my vestments! I thank you so very much for your efforts to get this order for chandeliers (worth $28,500) accomplished. I called the priest vestments, Blue Bird, ( should have bee Eden Bird). All I can say about that set is WOW!!!! I am very pleased with the workmanship and materials and the delivery of my cassock was very quick. Thank you so much, I will be using your company again in the future for sure. All the best and may God bless you and your families! I received my package with Lebanese Cedar frankincense at my post office, thank you so much, this is quality stuff, will come back for more! We received the lectern and it is beautiful...didn't know about the red velvet top - adds very sanctuary touch. I just recieved my vestments. My first impressions of this first order are very good. Beautiful fabric and it appears to be great work.